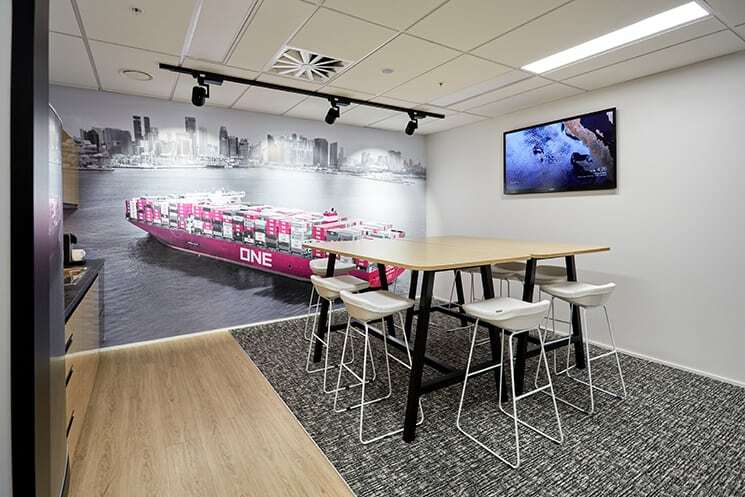 Ocean Network Express is recognised for their vibrant magenta shipping containers. 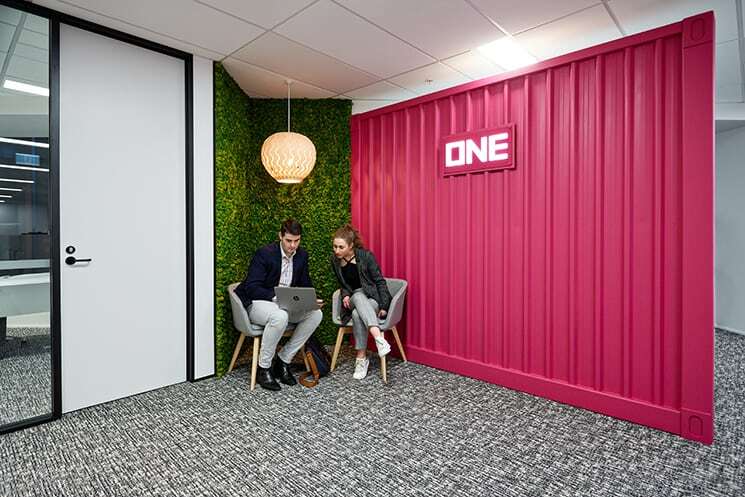 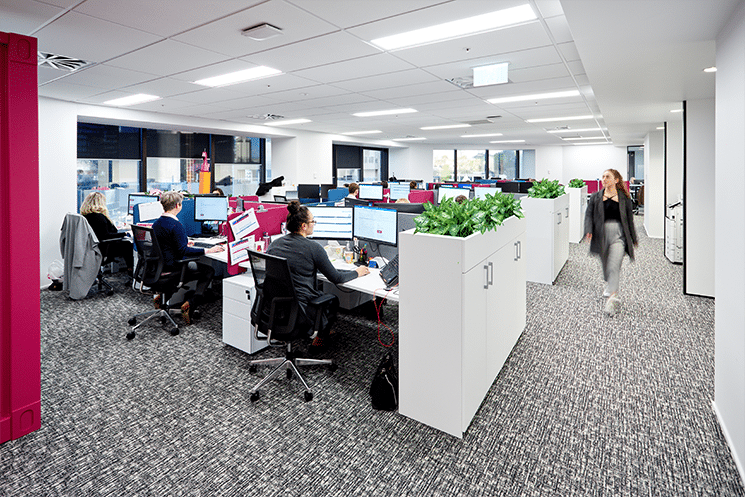 When they approached DB Interiors to redesign their office, it was decided that the office wouldn’t be complete without a magenta container somewhere, so a ‘container’ wall was constructed in the entrance area to immediately communicate the ONE Brand to those entering the space. 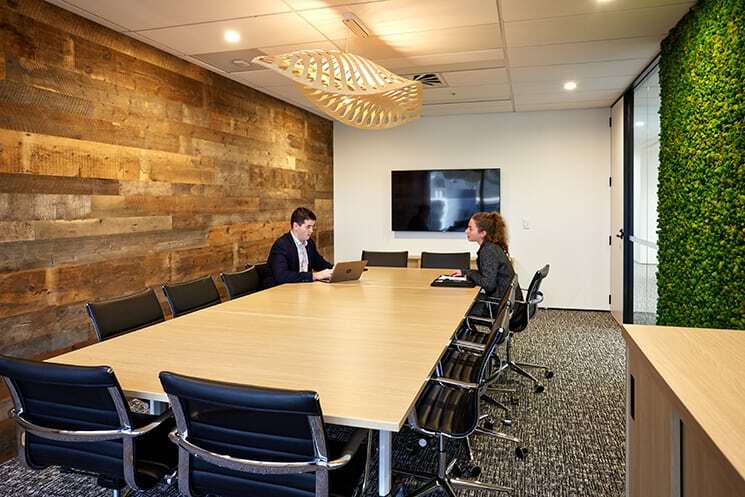 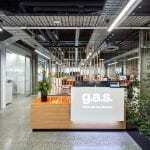 A recycled timber feature wall adds warmth to the boardroom, while the Navicula light by New Zealand designer David Trubridge adds a Kiwi touch to an International brand and embodies the synergy of ONE’s reliance on the ocean. 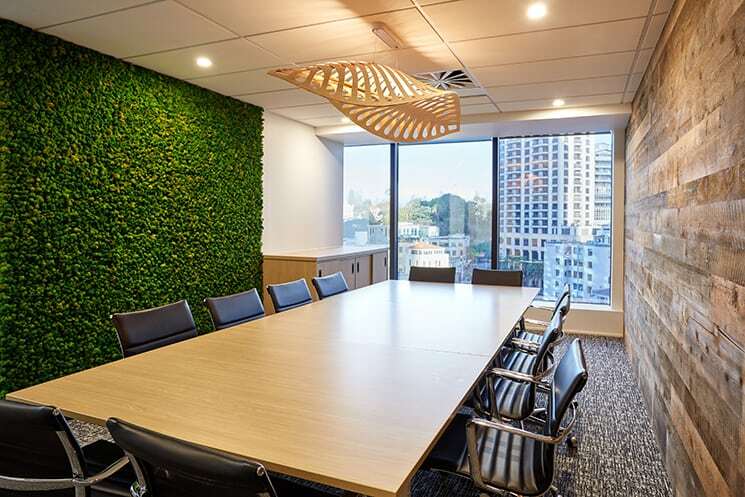 Moss walls feature in the entry and boardroom, adding a natural feel to the space as well as acting as an effective sound insulator, enabling for more private meetings and less distractions to others in the office.